Flat 1A, an uninhabited Victorian residence, has been converted adhering to the Macintosh philosophy of a dark hallway leading to light spaces. 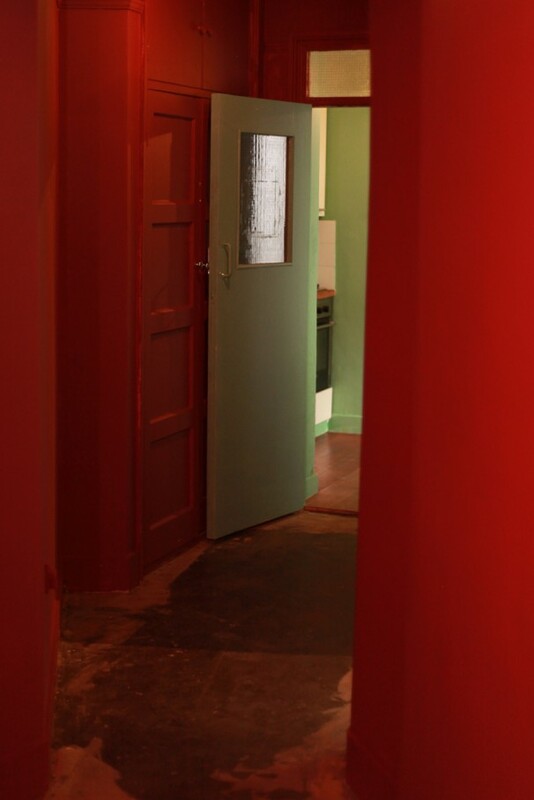 In this way, the visitor navigates through the space, transitioning from one brightly coloured room to the next. The main focus of the exhibition is pushed to the back of the house, in keeping with a Victorian sense of home that sees the main activities of the house afforded a sense of privacy. The junction between the flat and the works is a precarious yet delicate conversation that challenges how we relate to and understand the particular function and gesture of each. The Ground Floor Arrangement Band presents new works of London-based independent designers Inca Starzinsky, Julia, Henny van Nistelrooy and David Weatherhead.